A clinical exam or new patient exam is more commonly referred to as a routine check up. This routine check up lets your dentist essentially take inventory of the overall health of your mouth and teeth and diagnose any potential problems you may have. 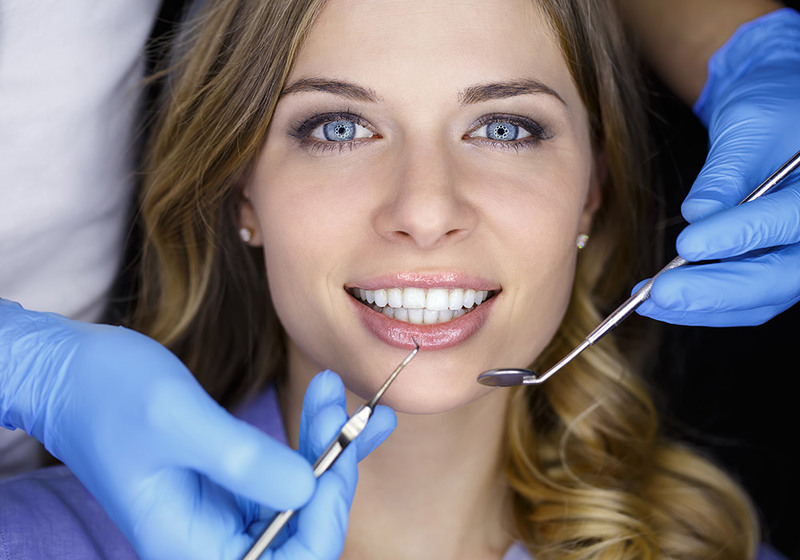 During the dental exam, the dentist examines your overall oral health and hygiene. The majority of problems with your teeth and the jawbone are not visible to the naked eye. That is why dental X ray plays an important role, and give the more accurate look at what is really going to be inside your mouth and below your teeth and gums. X-rays can help in checking for any bone loss and determine the grievousness of the gum disease. In addition to revealing any problems that were not visible during the routine check up or clinical exam, these initial x-rays will also provide your dentist with a benchmark with which to compare against during your future visits. A. The first thing your dentist will check during the new patient exam is your face and neck. The dentist will visually check for any abnormalities, such as bumps, lumps or swelling. B. Checking inside your mouth is the next step in the new patient exam or routine check up. During this part of the checkup, your dentist will be looking for any abnormalities in the soft tissue, such as discolorations or ulcers on your lips, gums, tongue, palate, and cheeks. Your dentist will also check your jaw joint and your bite for any problems by performing an oral cancer screening. C. Next, in the process of new patient exam, your dentist will check your gums and jawbone, as they are the foundation for your teeth. The dentist performs these checkups to identify any sign of gingivitis, bone disease, and gum disease. D. Checking your teeth comes next. Your dentist checks them for cavities and other severe problems. Finally, your dentist will become sure to look specifically at all the areas where you may have the symptoms. Our aim is to get your comfort and satisfaction during the new patient exam. We are always ready and happy to answer your questions regarding your first visit to Flintridge Dental Group. If you have any oral health problem you can feel free and comfortable to ask any question to our dentist at Flintridge Dental Group.